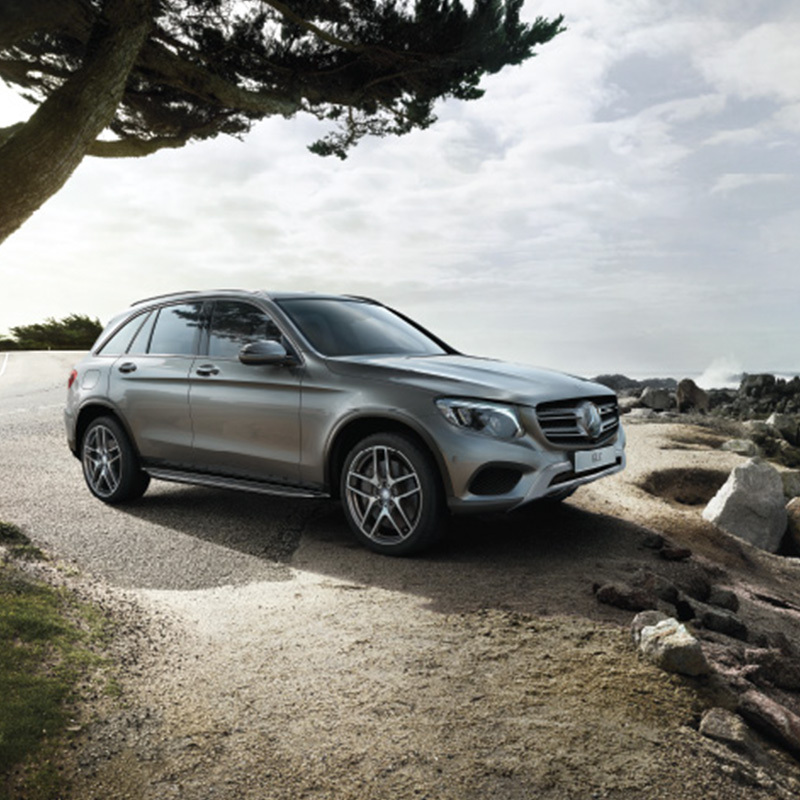 The Mercedes-Benz GLC-Class debuted in 2016 and made a strong impression on reviewers who praised many qualities, proclaiming a superb balance of performance and comfort. Passengers in the back enjoy plenty of cabin room, and up front, you’ll enjoy the graceful design that features an elegant center stack wrapped in wood veneer and transitioning seamlessly into the center console. The 1,600L of cargo space is generous too. As for performance, testers of the rear-wheel-drive GLC 300 accelerated from zero to 60 in 6.2 seconds–notably quicker than competitors. The ride is nicely insulated from noise both in and out of the city, and it’s also smooth, composed over rougher terrain. 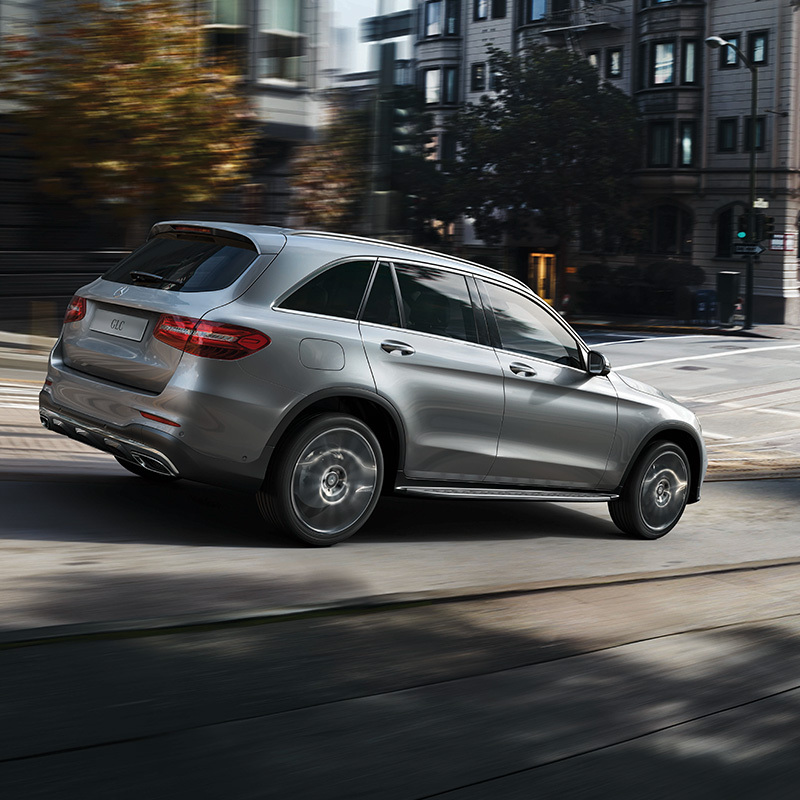 Compared to competitors, the GLC is especially roomy, well-equipped, luxurious, and efficient. Customers have been quick to note the craftsmanship with the Q5; its handsome, humble styling makes it quite compelling. A standard panoramic sunroof allows for rear-passenger stargazing, and standard all-wheel drive and eight-speed automatic transmission have helped to define this particular luxury segment. It’s certainly not hard to see why the Q5 so popular, and it’s definitely aging well, but it hasn’t seen a redesign since 2009. It could be considered lacking in technology features of which competitors’ models are in abundance. Perhaps you’re drawing similar conclusions here. 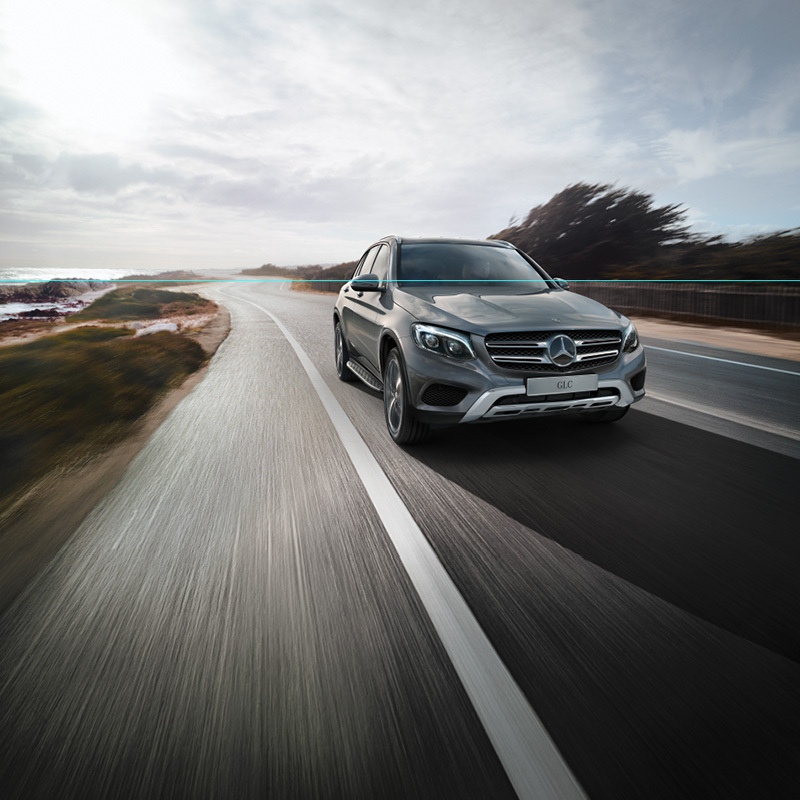 We believe you’re getting more value with the GLC–greater horsepower and torque means more oomph, of course, and the unique feature of the hydrodynamic torque converter allows for a more intelligent application of all this power. This is also the premium segment’s first 9-speed automatic transmission with a hydrodynamic torque converter, and it’s a lot of fun driving with 5 drive modes (comfort, eco, sport, sport+ and individual). There are more reasons to consider the GLC 300 over its competitors: the Audi Q5 doesn’t have active accident-avoidance technologies available, whereas the GLC does have standard Crosswind Assist and Collision Prevention Assist safety features. Additionally, the BMW X3 still costs more even when similarly equipped to the GLC 300. You’re also looking at a long list of standard features with the GLC, including EPS power steering, tinted privacy windows, power adjustable heated exterior mirrors, heated front seats and steering wheel, and Magic Vision control, for example. 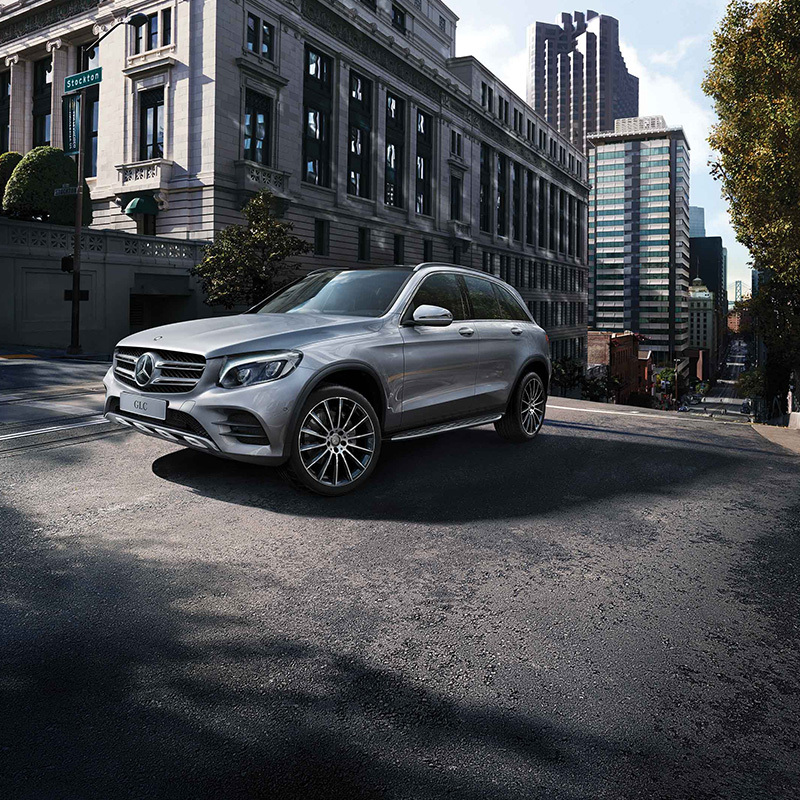 We believe you’ll find the 2017 GLC 300 4MATIC is an excellent investment. You can expect an outstanding fuel economy out of this crossover SUV, and the handy standard Eco Stop/Start feature also helps in this area. 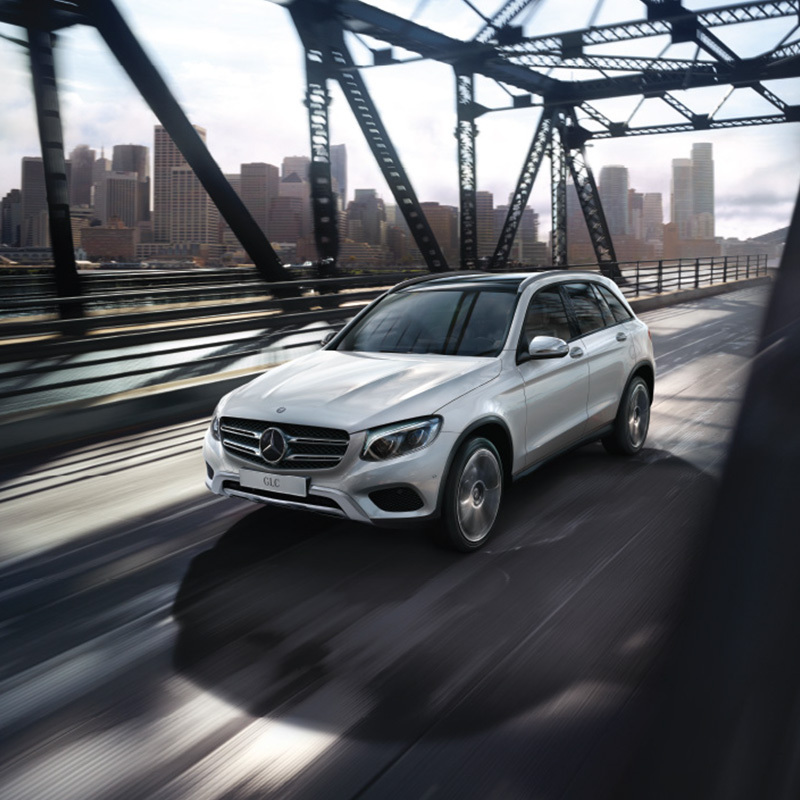 You’ll be impressed with the GLC’s power and prowess, as well as its 9-speed automatic transmission. The Mercedes-Benz 4MATIC Permanent AWD is unmatched in the segment. We welcome you to browse our inventory of Mercedes-Benz vehicles for our selection of new 2017 GLC 300 4MATIC vehicles, or please contact us for further details on the 2017 GLC 300 4MATIC crossover SUV!